She was precious, even if she had all ten fingers in her mouth for the entire performance. Minnows are slimy, and I am persuaded that she was going for truth in acting. It poured rain today, so Madeline "swam" in her fish costume for a while. 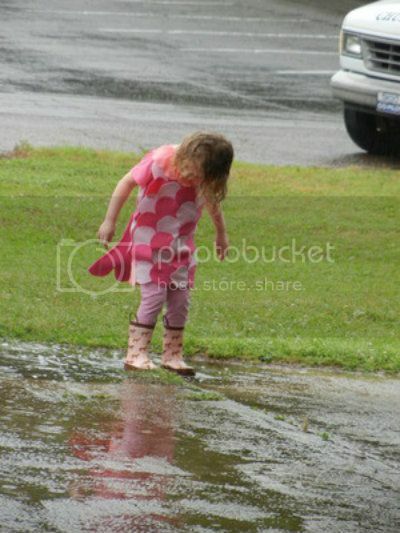 While she was intermittently stomping and twirling in a giant puddle, I couldn't help but think of this little dialogue. One of my favorites from Monty Python and the Holy Grail. King Arthur: I am your king. Woman: Well I didn't vote for you. King Arthur: You don't vote for kings. Woman: Well how'd you become king then? [Angelic music plays... ] King Arthur: The Lady of the Lake, her arm clad in the purest shimmering samite held aloft Excalibur from the bosom of the water, signifying by divine providence that I, Arthur, was to carry Excalibur. THAT is why I am your king. Dennis: [interrupting] Listen, strange women lyin' in ponds distributin' swords is no basis for a system of government. Supreme executive power derives from a mandate from the masses, not from some farcical aquatic ceremony. Oh, but you can't expect to wield supreme executive power just because some watery tart threw a sword at you. Oh but if I went 'round sayin' I was Emperor, just because some moistened bint lobbed a scimitar at me, they'd put me away. 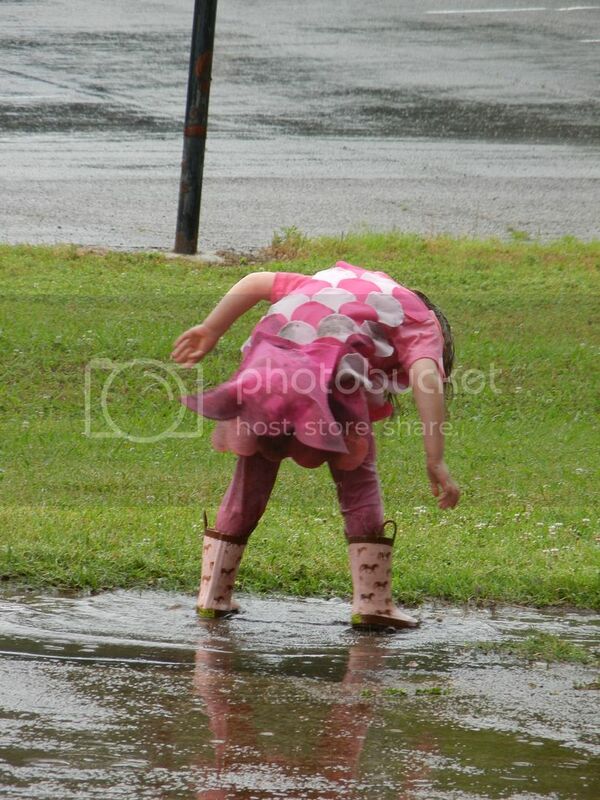 I love this beautiful, strange woman, lyin' in puddles.